The G2: Global Intergenerational Initiative is a new yearlong program being offered by the Jewish Agency. It helps bring grandparents and grandchildren closer with activities and conversations. It is spearheaded by Jay Weinstein, a rabbi from New Jersey who now lives in Israel. The project stems from findings gleaned from meetings that the Jewish Agency held in a few prominent Jewish communities, which pointed to a lack of programming provided to older adults and a lack of an Israel connection among the young. “We went to our partners on the ground, saying, ‘Let’s come up with something together’ … versus coming up with the idea ourselves and then trying to sell it or take it somewhere,” said Weinstein. “We wanted to do it in collaboration. Certainly, grandparents can be a positive influence in creating a Jewish identity in their grandchildren. The G2 initiative brings grandparents and grandchildren together over the course of a year through activities and creative projects. “It gives grandparents the chance to think about what is important to them, about what they want their grandchildren to know about, how their family narrative makes them unique, and special things they care about,” said Weinstein. Participating grandkids should be in Grades 5 and 6, preteens old enough to have deeper conversations, while still under the guidance of their parents “and they aren’t yet too cool to be with Grandma and Grandpa to do the activities,” said Weinstein. Each month has a different focus, such as discussing the most important Jewish gem of a place. This particular theme gives grandparents the opportunity to take their grandchildren to one of their favourite places and explain why it is important to them. Then, the grandchildren guide the grandparents to the most important Jewish gem to them, also sharing why it is important. If the grandparents and grandchildren so choose, they can record the visits on a two-minute podcast to share with others. Many larger Jewish communities can run G2 on their own, in-house, connecting with their sister city in Israel, but most communities won’t be able to carry it out on the same scale as that of the Jewish Agency. The partnership unit needs a local organization to launch the program in a region. “In most cases, [the partner] is the federation, as they are our national partner, but, that being said, we’ve designed this program to be brought to any organization,” said Weinstein. “So, if there’s a synagogue that wants to participate in G2 or a JCC, we can work with them. 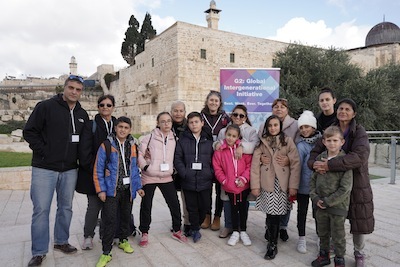 The yearlong program includes an eight-day visit that the grandparents and grandchildren take to Israel – traveling about the country, learning and meeting their Israeli partners. 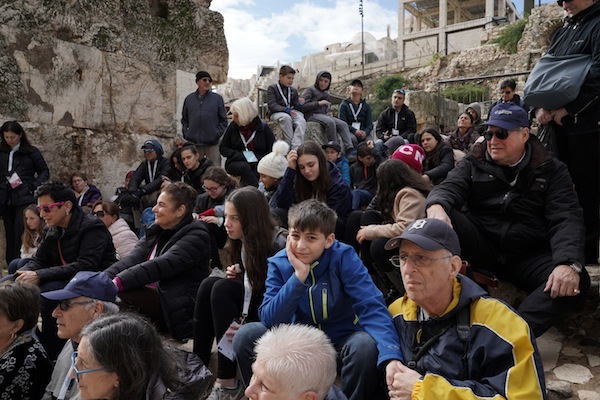 They also get the opportunity to stay in the homes of their Israeli partners for part of the trip, getting a firsthand glimpse at everyday life in Israel. While there is a cost for the program, G2 works with the different community partners to subsidize some of that, and is also looking for philanthropic partners. For more information, visit g2family.org. Rebeca Kuropatwa is a Winnipeg freelance writer. Sam Laliberte and Jared Schachter, co-writers of the activity book for people in, or contemplating, a long-distance relationship (LDR) knew a good thing when they saw it, and didn’t let Schachter’s move from Toronto to San Francisco get in the way. 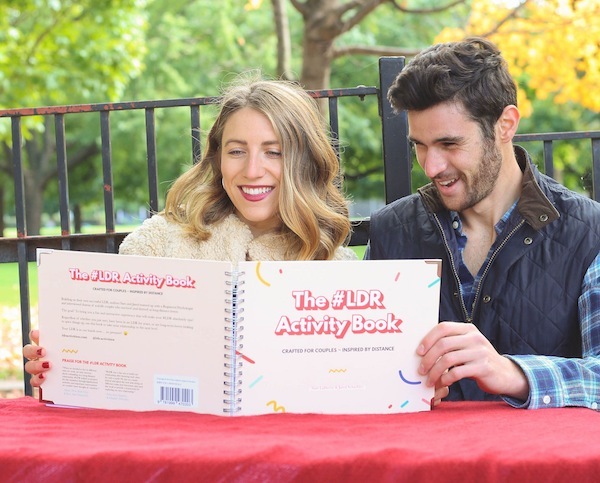 The #LDR Activity Book has eight chapters covering topics at the core of any relationship, even with yourself: understanding your personality, how you like to give and receive love, your values, what triggers you, envisioning the future, and more. Each chapter begins with an explanation of why the topic – expressing love, communication, IRL (in real life) visits, keeping the spark alive, values, trust, conflict resolution and planning – matters, followed by some “best practices”: assuming good intent, for example, giving “your partner the benefit of the doubt and operat[ing] under the impression that they’re trying their best.” Laliberte and Schachter then share a few tips of what worked best for them and, of course, there are several activities, some of which you complete on your own; others, with your partner. The #LDR Activity Book takes couples through various activities. Laliberte and Schachter are still together, though, just closer geographically. A longtime long-distance couple with whom the JI shared the book completed several sections, some that reinforced what they were already doing – daily rituals (regular texts and phone calls) and planning out IRL visits, for example – and some that either introduced new ideas or suggested activities they wanted to do more often, such as creating a joint vision board and talking about important moments during texts and calls, respectively. To fund the publication of The #LDR Activity Book, Laliberte and Schachter ran a Kickstarter campaign. Seeking $6,000, they received contributions of more than $10,000 from almost 200 backers, with their initial funding goal being covered in less than 24 hours. 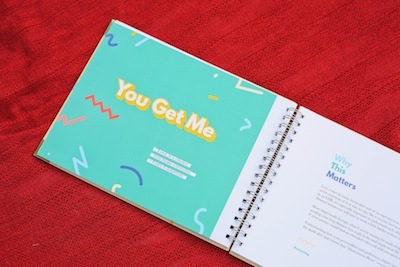 The result is a smart-looking, durable, 63-page, full-colour, hardcover (with metal corners), spiral-bound “scrapbook.” More importantly, it is a book full of good advice and beneficial activities and exercises, if you (and your partner) are willing to be open and put in the time. And the learning continues online. The #LDR Activity Book is for sale on ldractivities.com for $35 per copy, or $60 for a set of two. Laliberte and Schachter have created a special discount code for Jewish Independent readers: use JINDEPENDENT20 to receive 20% off. On Feb. 17, Sam Laliberte and Jared Schachter were interviewed on the podcast From Long Distance to Marriage. The episode can be found on audioboom.com. It was the long, cold winter nights in Winnipeg that made me do it. With my husband working late and a preschooler asleep in her room keeping me housebound, what else could I do? I finally tackled the onerous task of sorting seemingly hundreds of musty, dusty family photos that lay scattered inside battered cardboard boxes saved by my parents, their lives obviously too busy living the moments. Who were these people in these tattered and torn brown photos? Some, I had been told, were Aunt Lorna or Cousin Sylvia. Others were total strangers. The clothing and hairstyles against an unfamiliar backdrop told of another time and place in history. Places I had never seen nor been, yet vague memories from childhood floated in my mind. Some pictures had writing on the back in a foreign language I could not read or understand. Nonetheless, I carted these decaying remnants along with all the important household belongings wherever we moved. Why had I not discarded them? I now painstakingly placed these memories of bits and bytes under protective sheets in photo albums, one by one. Organizing them in some fashion was just too daunting a task. For the moment, preserving them was the goal – for whom I did not know. That question wouldn’t be answered until many years later, when I received a letter that launched an unexpected personal journey. Maybe it was more scam than spam but I had to pay attention. What did she want? Credit card numbers? Bank account numbers? Transfer a million dollars out of some remote African country? I read further with guarded skepticism. Yad Vashem. I knew it as the memorial centre for the murdered six million Jews and a symbol of the ongoing confrontation with the rupture of families engendered by the Holocaust. My doubts began to dissipate as the letter took on a flavour of authenticity. After confirming its legitimacy with Sylvia, I provided Lois with the information she requested. I did not pursue further personal contact, however, because, frankly, I have not been blessed, or cursed, with the need to search out relatives who could be more of a blemish than a blossom on my family tree. But things were about to change. Circumstances arose the next winter that would take my husband and me to Florida. I contacted Lois and invited her for lunch. When I greeted this pretty, dark-eyed, dark-haired lady, we hugged each other warmly. She appeared similar in age, slim, well-dressed and refined in manner. Lois had been a teacher turned financial consultant, divorced from her doctor husband, with two grown children. “I discovered two other cousins who live in Florida whose grandparents are also siblings of our grandparents,” she said. I was stunned. Two more family members – right here! “I’ll arrange a brunch at my home so you can meet them,” she promised with a smile. And, true to her word, the cousins all gathered at her home the following week. A strange mix of emotions coursed through me as the past and present began to meld. Until recently, we were totally unaware of one another’s existence. Suddenly, we had a common thread tying us together – our grandparents. Lois told me that the grandparent siblings, including my maternal grandfather, had all come to the United States in the 1930s to escape Hitler’s rise to power, but he was the only one sent back, because of a leg deformity. Not from disease, mind you, but the result of an accident. In the course of operating his paper company business, a heavy object had fallen on his leg yet he continued to run a successful business. 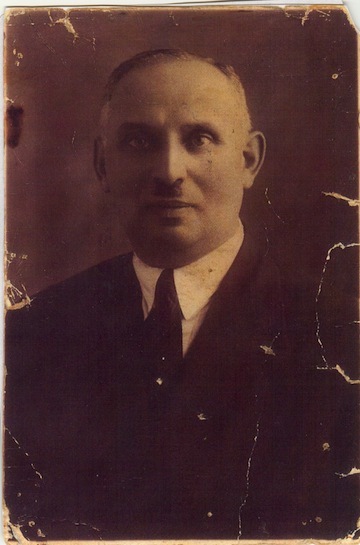 I was told he and several other relatives were among the six million Jews murdered in the Holocaust. Like a seismic jolt of lightning, the brown pictures flashed across my mind. For the first time, my grandfather became more than a lifeless face on a faded old photo. Sadness and anger pulsed through me. He was my mother’s father – a living, breathing person whose life had been cut short. Not by a natural disaster like a tsunami, a flood or earthquake, but by a human-made catastrophe, the Holocaust. Nature’s cataclysmic events kill randomly but humans ravaged and murdered with deliberation and purpose. While we had been spared the agony of their deaths, history had changed the lives of those who lived, splintering family shards across the globe, many of which will never be repaired. Yet it was heart-warming to meet Marty, the supervisor IRS lawyer in south Florida; Arnie, a retired businessman; and their wives. After a four-hour brunch came to a pleasant end, plans were discussed for “The Brunch” next winter, ensuring a future for this fractured family. These images gradually transcended time and geography and were now transplanted into my world in the 21st century. They were channeled from a dismal and distant past to live again in the present. In fact, in April 2012, I learned the names of six of my maternal relatives who were murdered in the Holocaust. My Israeli family had listed their names at Yad Vashem in Israel. I have now added them to Winnipeg’s Holocaust memorial on the grounds of the Manitoba Legislature to further ensure they will never be forgotten. The exciting promise of a journey of discovery still lies ahead, as traces of life continue to sprout new branches on this family tree – blemish or blossom. I knew now for whom these pictures were preserved. I preserved them for me and for future generations of Jewish history. L’dor v’dor. Libby Simon, MSW, worked in child welfare services prior to joining the Child Guidance Clinic in Winnipeg as a school social worker and parent educator for 20 years. Also a freelance writer, her writing has appeared in Canada, the United States, and internationally, in such outlets as Canadian Living, CBC, Winnipeg Free Press, PsychCentral and Cardus, a Canadian research and educational public policy think tank. She wrote this piece with International Holocaust Remembrance Day (Jan. 27) in mind. The birth of a baby is a milestone and the Jewish Community Centre of Greater Vancouver acknowledges that this life-changing event requires validation and support for new parents. Judaism offers profound teachings about becoming a parent and raising a family. The JCCGV’s new Shalom Baby group is a free program for parents and infants 0-18 months. The group provides a place to learn and grow, connect with other parents, share experiences and hear professional speakers address relevant subjects, such as feeding, sleeping, play, development, transition to motherhood and more. Becoming a parent can be overwhelming, and this program provides respite in a warm environment in which parents are nurtured, so they can nurture their babies, and help build strong and healthy family units in our community. All of the meetings feature guest speakers. Speakers are community professionals, such as nurses, researchers, doulas, psychologists and speech and language specialists. And the group is always looking for accredited experts to contribute. Shalom Baby meets twice a month on Mondays at 11:30 a.m. at the community centre in Room 102. The group is led and organized by a Shirly Berelowitz, JCCGV director of children, youth and camps, who welcomes the participants, books the speakers and sends weekly emails on upcoming programs. The goals of the program are to strengthen emotional bonds between parents and children; inspire a shared learning experience to support growth and development during the early childhood years; provide support services and activities for families to raise healthy and happy children; and connect unaffiliated Jewish families with young children to the Jewish community through different programs. For more information and to register, visit jccgv.com/early-childhood. The Centre for Israel and Jewish Affairs (CIJA) has appointed new members to its board of directors, including board co-chairs Joel Reitman and Jeffrey Rosenthal, succeeding David J. Cape. Nominations to the CIJA board are guided by an independent nominating process, which examines the background, skills, experience and other relevant qualifications of prospective directors. A list of candidates is produced through consultations with federations and other stakeholders across the country. 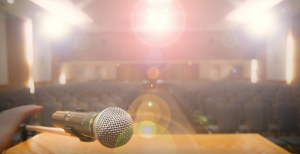 The independent nominations committee – comprised of federation representatives and ad personam members – consider all of the candidates and recommend a slate of directors to the CIJA membership (the “shareholders” of the organization). Special attention is given to achieving balance with respect to regional, gender and demographic attributes, as well as the qualities that candidates can leverage to advance the mission of the organization. Reitman is the founder and president of Jillcy Capital ULC, a global investment firm, and is an active volunteer in the Jewish community and beyond, serving various organizations over the years in different capacities. Rosenthal is a managing partner of Imperial Capital Group, which he co-founded in 1989, and has a long history of volunteering and experience on boards of other organizations. It was one of those hot and humid fall days in Montreal and my sister-in-law “Sadie” decided to make a stew. After all of her baking and cooking for the upcoming High Holidays, she put a pot of simple stew for today’s dinner on the stove to simmer while my brother, “Seymour,” and I made ourselves comfortable in the den. Sadie promptly joined us to watch Coronation Street, as she and Seymour did every day. As a visitor from Winnipeg, I was quite content to go along with their routine. Engrossed in the program, we didn’t notice a change in the weather until a sudden powerful gust of wind whipping through an open window slammed the door shut between the den and the kitchen aaaand … waaaait for it … the doorknob hit the hardwood floor with an earsplitting bang! We stared in stunned silence at the door and the floor – then at each other in disbelief. Seymour’s expression looked more steamed than the stew in the pot. His face fumed frustration, turning a range of shades from pink to red to purple. “That doorknob has been giving us trouble for weeks!” he shouted. “I’ve told the concierge of our apartment building umpteen times but he still hasn’t gotten around to repairing it.” Anger spewed forth like an explosion of fireworks. Well, Sadie saw no problem. “Just pick it up and screw it in,” she told him in a matter-of-fact manner. Though he didn’t say anything, his eyes shot daggers in her direction. Then he turned his attention to the doorknob. Over and over, he tried. He twisted and turned it every which way, trying to thread one half with the other. But it wouldn’t work. “What’s the big deal?” she asked. Now I began to stew a little. We searched for something that could be used as a tool and the best we could find was a coloured pencil but it proved to be uncooperative. After numerous failed attempts, we had to face facts. We were locked in! And there was no phone in the den. Worry grew to panic. A quick glance between Sadie and me communicated silently with the realization that, not only would the stew continue to simmer on the stove unattended, but Seymour was diabetic and would need to take his insulin shot soon. He was too focused on the doorknob to consider the ramifications of the situation and no one was going to tell him. He would become hotter than the combined temperature of the room and the stew in the pot. Never mind that he was wearing nothing more than a pair of Fruit of the Loom boxer shorts, which had to be held up manually. The elastic waistband had stretched beyond usefulness. Seymour began to pace around the tiny room, circumventing the furniture, one hand on his shorts, with the two of us following behind like caged animals. The vision of a sitcom popped into my head, and it would have been laughable had the situation not been a reality at the time. More than an hour passed and we were orbiting the room once again, hoping for a solution. The suffocating humidity was unbearable and Seymour was sweating profusely. This triggered the panic button for Sadie and me and we did what any trapped humans would do. We banged and kicked furiously on the wall of the adjacent apartment and screamed at the top of our lungs. “Why is it that neighbours complain about the sound of footsteps in slippers but are deaf to purposeful, raucous noise?” I wondered out loud. I could see beads of sweat begin to gather on Sadie’s brow and I knew it was more than just the temperature. More time slipped by. We turned our attention to the only alternative – the window. The apartment was two storeys up at the rear of the building, which offered an emergency exit on the main floor. Pedestrian traffic was rare. “Are you crazy?” we shouted. For a brief moment, I considered flinging my own osteoporotic self out the two-storey window but a quick reality check from my cohorts reminded me my situation was no different. “Maybe our little group should start the Day of Atonement today because this is ‘the day’ we really need it?” offered Sadie. Suddenly, from our window view, we saw a man appear at the emergency door. A frantic Seymour leaned out the window and shouted, “Help! Help!” That was our cue to raise the volume and we chimed in chorus to increase the decibels – to no avail. “Maybe he doesn’t understand English,” suggested Sadie (as if our frantic cries needed interpretation). “Well, what language would you like to try?” quipped Seymour. The man looked up. Great! We had his attention. Then, just as suddenly, he disappeared through the emergency door without any acknowledgement to us. Now we were all in a stew. We were doomed. Fifteen long, tortuous minutes passed before the sound of a key jiggling in the apartment door jolted our attention. Then the wife of the concierge removed the den’s door hinges, releasing us from our prison. With joy and relief, Seymour, still holding up his shorts with one hand, body soaking sweat as if he had just come out of the shower, embraced her with a one-armed hug and planted the wettest kiss on this angel of mercy. In the calm aftermath, Seymour took his insulin and we all sat down to relish our evening meal. We never did find out who the stranger at the emergency exit was that day so we could thank him. A visitor, we were told, just passing through. And the stew? Well, it was just right – tender and moist. Bon appetit! And shana tova. Libby Simon, MSW, worked in child welfare services prior to joining the Child Guidance Clinic in Winnipeg as a school social worker and parent educator for 20 years. Also a freelance writer, her writing has appeared in Canada, the United States, and internationally, in such outlets as Canadian Living, CBC, Winnipeg Free Press, PsychCentral and Cardus, a Canadian research and educational public policy think tank. Fascinated by her grandfather’s story, the kernel of Goosefeather was born. “I made him a promise that he would see the final result,” she said. She also performed Goosefeather on the first ship, as a Christmas gift for the sailors. When the captain asked her for a repeat performance, she bartered: a show for a phone call to her father, who celebrated his birthday while she was on the water. It took her 21 days to reach Australia. From there, she took another cargo ship to China. Her further travels – by boat, bus and train – included Japan, Russia, Belgium, France, Switzerland, the United States and, finally, back to Canada. The entire trip took 386 days. Even the language barrier in countries like Japan and Russia didn’t deter Steinberg. She can perform Goosefeather in either English or French, and she always found a translator when she needed one. For Steinberg, a professional storyteller, a storytelling tradition like Kamishibai is extremely compelling. According to Wikipedia, “Kamishibai is a form of Japanese street theatre and storytelling popular during the Depression years and the postwar period … until the advent of television.” Storytellers would travel from town to town, performing on “street corners with sets of illustrated boards … narrat[ing] the story by changing each image.” Some consider Kamishibai to have influenced manga and anime. Currently, Steinberg is busy writing a book, a travelogue of her journey around the world with Goosefeather. She aims to publish it next year. To learn more, visit goosefeather.ca. Have you ever seen a grandfather advertising for work? “Experienced grandfather seeks skilled or semi-skilled position, any shift that doesn’t interfere with afternoon nap.” Nope, haven’t seen any ads. And I know why: we are already busy as a bee in the clover patch serving as the family anchor. Most of us are convinced that our grown children are still too young and far too immature to be real parents and thus must need our help. My advice is to concentrate on the smaller dependents; they’re still malleable. And the younger the better: the little ones are far more impressed by a grandparent’s ministrations than, say, a 13-year-old. My grandkids live out of town, so I take advantage of every form of communications I can get my hands on. Even in this age of email, that quaint invention, the telephone, still works – except with the littlest ones, who haven’t mastered the art of holding onto the receiver without dropping it. I’ve written about this before, but it’s worth saying again – the United States Post Office gets my vote because, for 49 cents, you can send a large number of words and, for not much more, you can include other accessories and get them all delivered by a uniformed employee of the U.S. government (kids love uniforms). You can’t send a stick of gum attached to an email. A wise grandfather, besides sage counsel and family gossip, will include a baseball card, a newspaper clipping, bubblegum, or even a candy bar. I don’t think of it as a bribe, rather as a way to lure the young mind into the civilized joy of correspondence. On second thought, while chocolate bars are nice and flat for mailing, they have their disadvantages in summer, so unless you’re mailing from Nome to Anchorage, you might want to skip that idea. But I do try to always include something that is amusing, edible or ethically fortifying. My grandkids usually award the family Pulitzer Prize to the clippings I call “Pet Heroes” – the collie who pulled little Jimmy out of the river, the cocker spaniel whose barking woke up a family in time to escape their burning home, the rescue dog who finds the missing child. If it’s true that the gabbling geese saved Rome, then I bet there was a grandfather’s letter reporting it to the kids in Venice. I once had a 4-year-old granddaughter – well, I still have her, but she’s 8 now. She loved insects. You wouldn’t believe how well crickets, grasshoppers and locusts travel in the mail. My best letter, she told me later, was accompanied by a thin, flat frog mashed into two dimensions by a truck. He shipped well. Ted Roberts is a freelance writer and humorist living in Huntsville, Ala. His website is wonderwordworks.com. The decision to travel with your family to Israel is a big one. It’s so expensive and the long distance requires going for at least two weeks to make it worthwhile. My husband and I debated for years on the merits of taking our children on such a trip. Finally, our daughter’s bat mitzvah convinced us it was time. At nearly 13, she would get a lot out of it, and our 11-and-a-half-year-old son seemed ready as well. 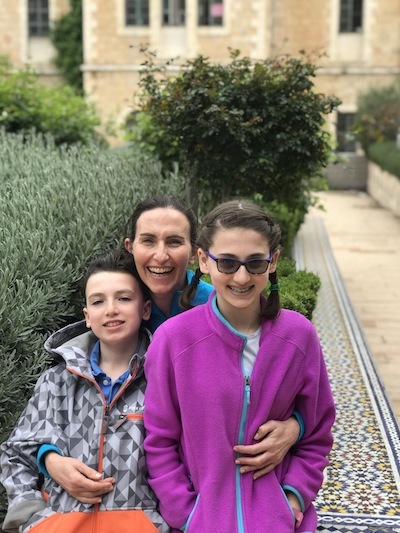 To mitigate jet lag, I traveled a week early with the kids to London, England, where we laid low, staying with friends and taking in a few sights. We then met my husband in Jerusalem. The morning after we arrived, we went on a walking tour. Our guide, Dvir, specializes in tours of the Old City, which must be done on foot. Not only did he take us to all of the highlights, find us the best food in the Old City and explain the geopolitics of Jerusalem but, also, he knew where to find all of the clean toilets. And our children surprised us with the knowledge they had gleaned from their years of Jewish education, enriching our experience, as well. That day, we walked more than 13 kilometres, helping us sleep well and rid us of any jet lag that might have been lingering. The next day, we returned to the Old City to buy special gifts of Judaica, and managed to pick up plenty of beautiful treasures for ourselves. We finally found use for our son’s bargaining skills, which had previously only been used to negotiate things like screen-time and treat consumption. One of the best decisions we made was to stay in apartments. With two preteens, the need for food sometimes comes fast and furious. Knowing breakfast was in the fridge and we could make nutritious snacks to take along with us every day contributed enormously to the success of our trip. The other element that made it the best vacation we’ve ever had with our children was the planning my husband did, combining some days with a tour guide and other days with age-appropriate activities. Since neither of us is interested in driving in Israel, he also worked our plans around all the different kinds of transit. Our centrally located lodging enabled us to walk many of the places we wanted to go. We were invited by a friend, who was also visiting Israel with her family, to join their tour one morning of an agriculture reserve called Neot Kedumim. Near Modi’in, the site is of archeological significance and takes visitors back to biblical times through the landscape, agriculture and activities. Our experience included tree-planting, za’atar-grinding, pita-making, cooking and pulling water up from a cistern. My husband’s dream now is to spend his birthday working as a shepherd there. Another morning, with the same friends, was spent in fierce competition at the Tower of David doing something called the Amazing Race. It was good fun and educational, too. We ventured one windy day to Ein Gedi and did a hike. Luckily, before driving to Masada, we discovered that, when it’s too windy for the cable car to run, Masada is closed. 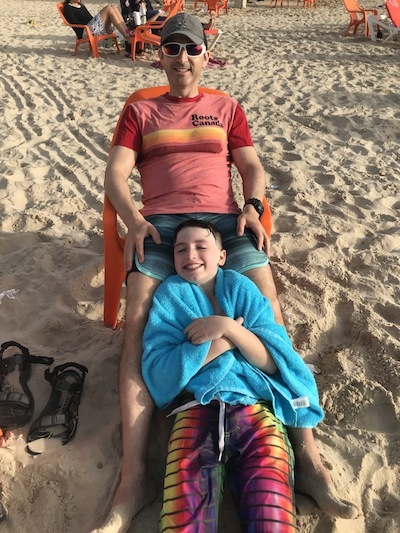 However, the Dead Sea was open for business as usual and, while we took in the experience of the mud and the floating, we also loved the variety of people from around the world visiting the waters. In Jerusalem, we loved the green spaces like Station One. Formerly a train station and tracks, it is beautifully landscaped and is perfect for cycling, so we rented bikes. The public art in Israel makes the parks and streets even more interesting. Markets are favourites when we travel and Machane Yehuda did not disappoint. We returned there a number of times to buy Israeli essentials like halva, rugelach and dates, as well as more mundane food like fruit, vegetables and bread. The dinner scene is like the best food court in the world. We all enjoyed the food in Israel. Gone are the days when every corner had falafel, fly-covered shawarma and pizza with corn and tuna. You can still find those delights in a few places but, these days, no matter what you like to eat, you can find it in Israel (except on Shabbat or holidays in Jerusalem). Keeping kosher for Passover, once the holiday began, was certainly easier than we find it in Vancouver. Two days before Passover started, we took the bus from Jerusalem to Tel Aviv. Comfortable, cost-effective and an experience in Israeli culture, the bus took only 45 minutes. Our lovely apartment in Tel Aviv was in an area in transition. Just over a block from the beach and a short walk from Shuk HaCarmel (where we went almost daily), the location was excellent. We were able to walk to many places, including Sarona (the market is like an upscale Granville Island), Shenkin (shopping), the Tachana (eclectic Israeli items) and Neve Tzedeck (artists and fancy touristy stores). We ended every day relaxing at the beach on the powdery sand. The seder was delightful at my cousin’s house in Ramat Hasharon. Seeing my secular Israeli cousins argue over the tunes and forget the words occasionally showed us that they observe Passover similarly to how we celebrate it. The only difference was that they served twice as much food as I do, including seven types of meat. The food was almost as unreal as the traffic jam at 12:30 a.m., as people left their respective seders. Other excellent parts of our trip included a fun and informative walking tour of Jaffa. 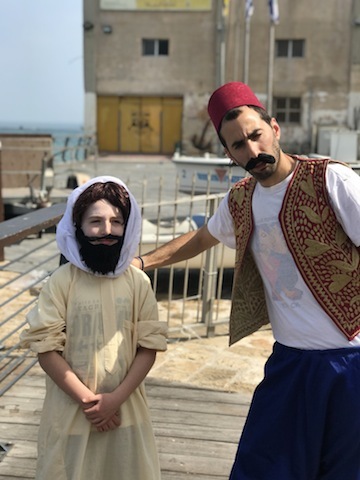 Our guide, Noam, dressed in Turkish garb of 1905 – and, for awhile, our son dressed up as well, beard and all. We spent a day in Ramat Aviv, between the Museum of the Diaspora (Beit Hatfutsot) at Tel Aviv University and the Palmach Museum, just down the road. All of us took full advantage of the many types of exercise equipment in the public parks all around Tel Aviv and rode bikes along the Yarkon River, in addition to enjoying the lively promenade (Tayelet) along the ocean. One day, we took a fabulous full-day private tour up north to Akko, Haifa and Caesarea. The guide enabled us to get the most out of the day. When we saw the family dynamic start to go sideways, we split up. Our ability to keep good snacks handy and to make sure everyone got enough outdoors time each day made everything we were able to see and do a wonderful experience for all of us. I would recommend a trip to Israel to anyone. Michelle Dodek is a freelance writer living in Vancouver who spent enough time in Israel in her youth to speak sufficient Hebrew to communicate with taxi drivers and vendors in the shuk. Taking a red-eye flight was no way to end a glorious Hawaii vacation with my nine-month-old, but it was the only nonstop and I figured everyone would go to sleep. Ah, how wrong I was! My little guy, who just had started walking, was so excited that we were not only awake the entire flight, but we spent it walking up and down the aisle. Having little ones is a game-changer. After having traveled solo for months at a time, where I could follow any whim and not plan if I didn’t want to, my travel style has been turned completely upside down, but for all the right reasons. So, while I always pack lots of extra food and supplies for my little guy, who’s now a toddler, I’ve learned to pack light for myself. Everything needs to be multipurpose. For example, my go-to travel uniform consists of a wrap-sweater because I use it as a baby blanket, and many friends use it as a nursing cover-up. Also, because it’s attractive, it can dress up a simple outfit. Truth is it helps to be extremely prepared with planned activities, as well as making sure your little one is excited about the journey. A happy kid makes for a pleasant flight for all. Prior to our trip, I gave my son his own luggage, a super-cute airplane-themed rolling suitcase that also turns into a backpack. He loves it and constantly drags it around with him. I find it helpful for him to feel as if he is one of us, and part of the adventure. I always pack a number of toys – they all must be useful both on the long flights and at the destination. I never leave home without our Bubzi, a stuffed owl that plays lullabies and projects stars on the ceiling, as it helps with sleep. Another lightweight item to bring is the Cinemood, an ultra-light three-inch portable projector that can be used just about anywhere with a flat surface, as its preloaded with lullabies, books and kid-friendly content. Be sure to pick up kid-safe headsets that protect little ears; Buddyphones are especially good on planes to help drown out the noise, too. Traveling with a toddler has its ups and downs. On a recent trip, my son, who has always disliked cribs, was sleeping in a bed. Even though he was right next to me, he still flew off of it in the middle of the night, leading to a bruised up nose and an upset mom. There seem to be a million tiny situations that need to be thought through, some as simple as piling pillows all over the floor around a bed. I’ve also learned that the details matter, such as keeping my little one out of the sun. While I tan easily, my son is blond and fair, leading me to explore a million different sunscreens, many sticky, which led to complaints. While we do use sunscreen, I’ve heard conflicting reports of how useful they are and how bad some of the chemicals are, so I finally changed my travel stroller to one that has on oversized canopy, as extra protection. A sturdy stroller is also important because you can place your bags in it and my son can walk alongside me or even push the stroller. I’ve realized, the more active he is in the airport, the more tired he will be on the airplane. I always research the airport we are flying into, to see if there is anything to see, such as an aquarium, museum or viewing deck, so as to keep everyone entertained. However, being organized takes a lot of effort and, while I try my best to keep everything in its place in my diaper bag, sometimes I don’t. I’ve had to dig around for my wallet, plane tickets and all sorts of odds and ends. Usually, a box of milk or other liquid slips my mind and then security zeroes in on me. Even with a baby in tow, I have been patted down on every single flight I have taken with my son. Security is in no rush and generally don’t care if you miss your plane. On my last flight, I had to run through the airport holding my son to make it in time. Traveling with a toddler certainly keeps you on your toes, but isn’t that why we travel in the first place, because we want to have new experiences? So, while the getting to the destination is part of the journey, my best advice is to try to enjoy the ride. Masada Siegel is an award-winning journalist and photographer. Follow her at @masadasiegel and visit her website, masadasiegel.com. Dr. Simon Trepel, child analyst and psychiatrist at the Manitoba Adolescent Treatment Centre, is seeing an increasing number of children and teenagers using phones – even during sessions. “I was hearing more and more from parents about some difficulties they were having around technology and screen time,” said Trepel. “I was noticing, even in my own family, how pervasive screens are becoming … as a preferred source of entertainment, as well. According to Trepel, using technology in daily life is no longer a choice. It is a fundamental part of how we all get by. Most of us check our phones several times a day, and conduct business and communication on our phones or tablets almost exclusively. He said there are about four billion people using the internet right now worldwide, and a third of those people are children and teens. There are about five billion people using mobile phones and a little over three billion people on social media at any given time, he said. And, these are all increases of anywhere from five to 15% in comparison to the previous year. There are implications to this change, especially in children, whose not yet fully developed brains are particularly susceptible to getting into trouble online. But, Trepel said, there is something that can be done – and it starts with adults getting off their phones and other screens, especially when around young people. We also need to start talking about these issues, as kids who come from homes that discuss such topics tend to be less at risk. “When there’s a more negotiated amount of technology use and supervision and things like that, that is a good thing,” said Trepel. “But, there are many, many kids who have a combination of not a lot of supervision combined with having an immature brain, and these kids are the ones we are most worried about getting into trouble online. Getting a handle on this will not be easy, but it starts with parents making the time to fully understand the tech diet of their kids. Just like we monitor their food intake, we need to monitor their tech intake. Trepel suggested that, when you monitor your kids, you want to make sure it is active monitoring – that you are co-viewing and discussing the sites that they are on. It is also important to avoid spy-type programs, he said, as kids will find ways to work around them. Aim to be playing together, following each other on social media. Use any opportunity for educational guidance – not so much making it a single conversation, but, instead, an ongoing dialogue about the device. You can ask for their help learning about social media, for example. “I think that’s a very elegant way to cover a lot of bases,” said Trepel. “It allows the parent to learn a lot about what the kid is using, in terms of technology use. But, it also updates the parents as to what these social media sites are all about – how they are navigated, how they are used. “It may also be a great way for kids and parents to spend more time together, interacting with each other, teaching each other. While they might teach you about Twitter, you might be able to point out various ways they are using the technology that might be helpful or harmful. You might, if the child teaches you Twitter, find out if the child has a public account and is being followed by hundreds of people the child has never met before. Studies have shown that parental behaviour is one of the most powerful influences on a child’s behaviour. So, Trepel suggests taking an honest look at yourself as a parent, about how embedded these devices are in your own life. And then, start to change that for yourself, while also becoming a good role model for your kids. “You want to be proactive with your kids,” said Trepel. “You don’t want to wait until there’s a problem. You want to educate them to the possibility of problems. Trepel said it is best to avoid taking technology away without offering an alternative. Make it easy for kids to see their friends in real life, he said. Let them go over to their friends’ houses, take them places they want to go, and do things they want to do – provide them with in-person opportunities. Play a board game, do arts-and-crafts, encourage them to learn to play an instrument or participate in a sport. Off-screen activities, he said, have a greater likelihood of making your kids feel happy as compared to on-screen activities. Trepel suggested having your kids turn off their phone notifications at important times of the day, like sleep time, family time, meal time, school time, and so on. And make sure that you do the same. Trepel recommended that parents turn off the wifi after 9 p.m., or even earlier, if they think there will be a significant battle to have their kids turn off their screens in the evening or if it is affecting their ability to do homework. Or, he added, you can get your kids a phone with no internet capabilities. Some executives, he said, have even switched back to such phones, as they were wasting too much of their time when they had a phone with more tech capabilities. For starters, Trepel said, begin the conversation. Ask your kids for ways to keep things under control. Dialogue, go back and forth, and find ways that work for your family.